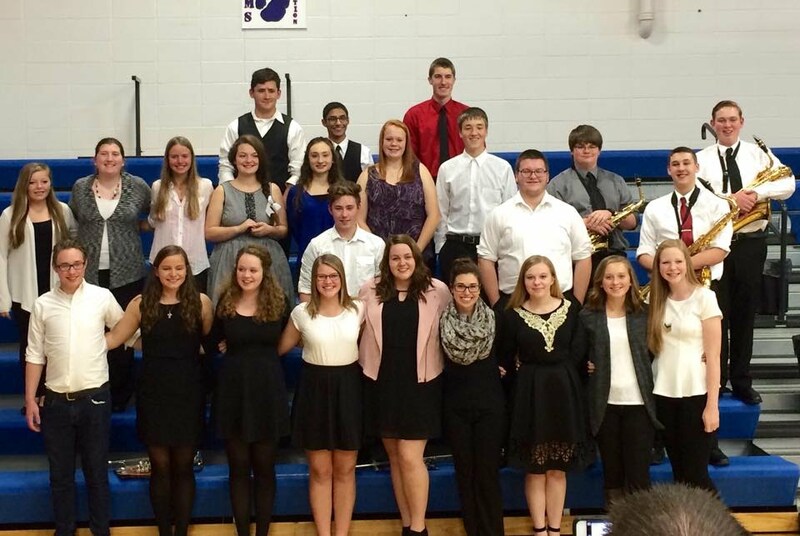 The WCAC Conference Honor Band was held on November 17, 2015 at Ogden High School. High School students from each school in the conference are nominated by their directors to create the All Conference Band and Honor Band. Earlham had 25 students participating in the event. The honor band was conducted by Mr. Patrick Kearney (Johnston High School), and the All Conference band was conducted by Mr. Bob Meunier (Director of Bands, Drake University). Honor Band participants from Earlham included Kamilla Brindley, Elizabeth Billington, Renee Doss, Demmi Moses, Jacob Ladwig, Garret Taylor, Keaton Kester, Haley LeGrand, Logan Reynolds, Kelsey Tibbs, Karl Heimberger, Elisabeth Evans, Jordan Reynolds, and Cylias Russell. All Conference Band participants from Earlham included Amy Smith, Rachel Folder, Cassie Bond, Kaylee Hohertz, Madison Young, Stephen Woolcott, Grant Becker, John Tibben, Holly Partlow, McKenzie von Rentzell, Anna Kroeger, and Josh Smith.